This dress is seemingly untouched. 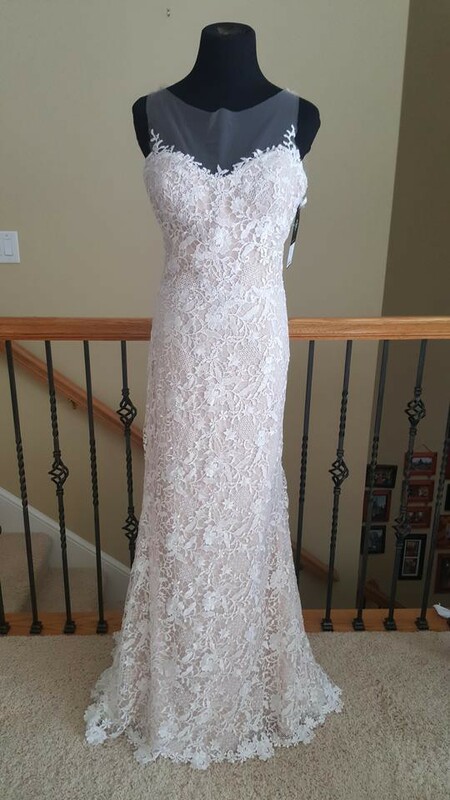 I purchased this December of 2017 when it was just-in at a bridal shop. I adored this dress, but ended up finding a different one that suited myself and my wedding day better. With that said, I am hoping this dress can find its rightful owner. No alternations or tailoring made. Has been stored untouched in a garment bag. Once you send a message, Kendra can invite you to purchase the dress.